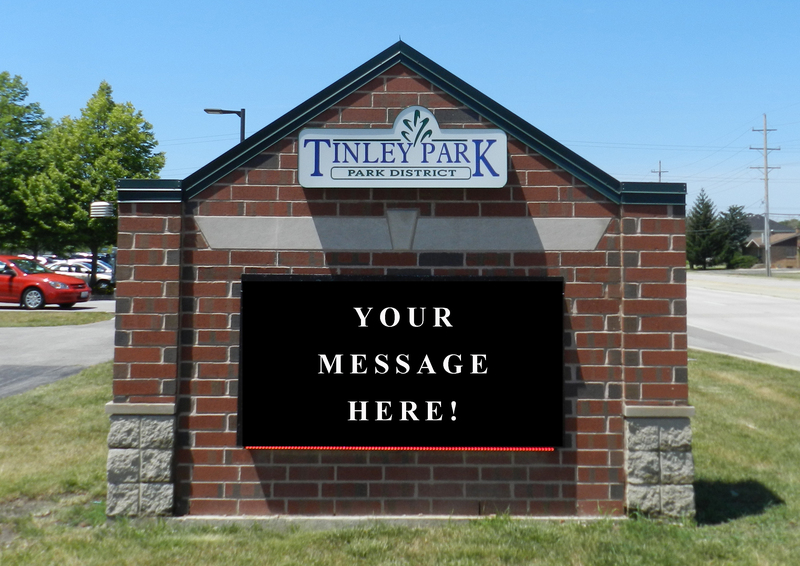 The Tinley Park-Park District accepts requests for messages to be displayed on the electronic sign on 171st Street. Please download a Message Request Form for the rules and guidelines requests must meet in order to be considered. Completed forms can be scanned and emailed to info@tinleyparkdistrict.org or dropped off at the front counter of the Tony Bettenhausen Recreation Center.